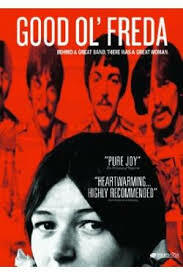 Now available on DVD and online, fans of the Beatles (or for that matter, fans of the human race) should definitely check out the wonderful documentary “Good Ol’ Freda” if missed during its brief festival/theatrical run last fall. Its opening moments take us back fifty Christmases ago and the first of the group’s annual holiday-greeting records. Amid the general jollity we hear the guys give a shout-out to their secretary and fan club president, prompting the titular exclamation. Freda Kelly, in the words of one who knew her when, was “a snip of a teenager”, employed as a typist in a Liverpool office when asked if she’d like to join some co-workers to see a lunchtime concert by a certain local combo at the nearby Cavern Club. 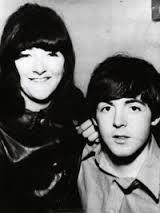 The 17 year-old Freda got to know the Beatles as only one can who was part of the band’s original fan base. She can tell you the best place in the Cavern to watch (second archway on the left), tell sweet anecdotes of Paul walking her to the bus stop and still calls Ringo “Ritchie.” In 1962, the Beatles new manager Brian Epstein asked the incredulous teen if she wanted to work for the band. It was a canny move. As both Brian and Freda realized, she was a fan but not a fanatic and could directly relate to the band’s famously ardent female supporters, which would grow into numbers unimaginable back then. A bit player in a worldwide cultural phenomenon, she held the job for a decade and still dutifully replied (on her own time) to the back log of letters even after the band broke up, a process that took some three years. The personable and straightforward Kelly makes a winning documentary subject. “Loyalty” and “privacy” are the two keywords with her and instead of making her a spoilsport (think of all the dirt there is to dish!) it serves as a refreshing reminder to the special value of basic human decency in a crazy world. Did she profit from the surplus riches (in the form of autographs, ephemera, locks of hair and the like) that her position left her holding? Not a chance. She personally handed much of it over to Beatle fans and kept a few boxes for old time’s sake. Untouched for over thirty years, she heads up to the attic to retrieve them for the camera crew. Did her closeness to the group ever lead to an amorous tryst or two? Maybe, but as Freda sits on a sofa in her modest Liverpool home a half-century later, she coyly takes a pass. “I don’t want anyone’s hair falling out,” is her answer, which sounds sensible enough. With her girlish smile and helmet of dark hair, the teenage Freda looks like she could have been too overwhelmed or awestruck to ever handle the job description that would come with working for the most popular rock band in history. Not a bit of it. Her unfussy dedication and the band’s ability to not lose themselves in all the mass adulation, speaks volumes for their unpretentious Liverpool roots. And Kelly was no pushover. After John Lennon made a move to unilaterally fire her after she whiled away an hour hanging out with the Moody Blues, he quickly found himself unsupported by the other three and Freda (only half-jokingly) made him get down on one knee to beg her back. With upper echelon pop stars now resembling corporate monoliths more than actual human beings, it would be hard to imagine something like that happening today—esp. if you’ve seen the documentaries of say, Madonna or Beyonce, where employees are subjected to boot camp discipline when they’re not being herded into prayer circles. 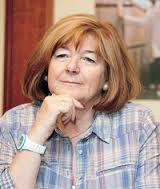 Freda Kelly, then (with a pre-Sir Paul) and today. Approaching seventy years of age, Freda agreed to be the subject of Ryan White’s cameras only so her grandchildren will grow up knowing who she once was, a notion as simple, likeable and bittersweet as the film itself. 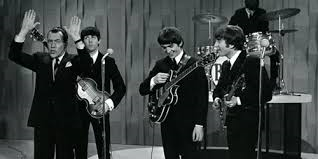 At this late date and with the 50th anniversary coming this week, just about everything that could be said about the Beatles epoch-making appearances on Ed Sullivan’s weekly TV showcase has been said, and multiple times. The televised specials will be all over the place and we’ll all catch at least one. But this DVD, which has been circulating for years, gives the viewer the extra context of viewing the four entire E.S. shows (including commercials) that featured the Fab Four in all their Beatlemania glory, playing to delirious packs of girls in the theater as well as to a record-shattering 73 million viewers at home. 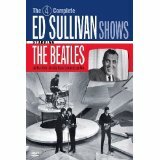 Sullivan had been ready to put up a princely sum for one Beatles appearance but Brian Epstein, in an astute bit of managerial razzle dazzle, agreed to accept only a fraction of the offer (settling on $10,000) if the band could instead be on for three weeks, opening and closing each show. Besides the three famous shows of Feb. 1964, the DVD also has the return appearance from August 1965. The other material on these discs offers up the last death throes of a vaudeville business model about to be replaced by the Beatles-led youth-centric entertainment revolution. Ed Sullivan got his start as a newspaper columnist focused on Broadway and New York nightlife but his Sunday night variety show,which ran from 1948 to 1971, was a star-making juggernaut of the age when we watched four TV channels on a 9-inch screen. Week after week Sullivan, with his notoriously uncomfortable body language and awkward stabs at humor, would introduce the magicians, acrobat teams, comedy duos, dance troupes, pop singers, puppets and God knows what all. These shows are no exceptions and most look instantly dated next to the Beatles triumphant re-invention of rock and roll. Interspersed are the kinds of commercials that make one feel that 50 years is a really, really long time. Did you know, for instance, that Lipton tea is “friendlier than coffee”, or that Anacin brand aspirin cures depression? There are a few exceptions: the great Cab Calloway, then 57, turns in a high-spirited performance and we get to see a pre-Monkees Davy Jones appearing with the original cast of “Oliver!” At the Feb 16th show, when Ed moved the show to it’s occasional Miami Beach location (allowing the boys a few days in a warm locale) the Fabs are almost upstaged by the irrepressible Mitzi Gaynor (of whom they were great fans) as she makes the most of her 13-minute turn in the spotlight as if to try and turn back the clock to the days to where superhuman (if slightly hokey) song-and-dance routines and expressive “jazz hands” were the last word in light entertainment. It didn’t quite work that way (the heavyosity of later Sixties culture soon followed), but it wasn’t for lack of effort on Mitzi’s part. So we end Beatles doc month with a little dose of the hotsy-totsy Ms. Gaynor and a great slide show of Beatlemaniacs set to “Twist and Shout.” Enjoy!